Last month I popped into Paperchase hoping to find a new planner in the sales and was pleasantly surprised to find they still had loads to pick from. I've always loved organising and using a diary but it is the recent rise of popular planner stickers that made me want to get back into planning my days, weeks and months more. Cute stationery has always stuck out to me and it's one thing that I often just can't resist buying so when I discovered that there was loads of choice on Etsy I started popping things into my basket left, right and centre. I've got a few favourite go-to shops on Etsy now and today I thought I'd share one of them with you, this one is definitely my number one favourite. 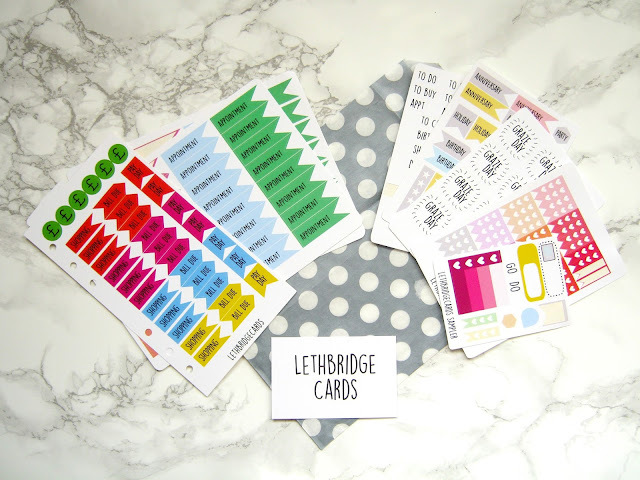 Lethbridge Cards is a small UK based business run by the lovely Emma, she sells a variety of different planner stickers along with some other more general stationery items. What I really love about Etsy is that it has the personal touch so I thought I'd include a little note from Emma in this post about how and why she started up her Etsy. The first sets of stickers I spotted on her Etsy were the blog post and appointment ones, I knew that they were going to be the two that I used the most in my planner. They've proved to come in very handy and it makes it clear to me quickly when I'm flicking through my planner when I next have a blog post going up or when I've got a hospital appointment, it makes it very easy not to double book myself! 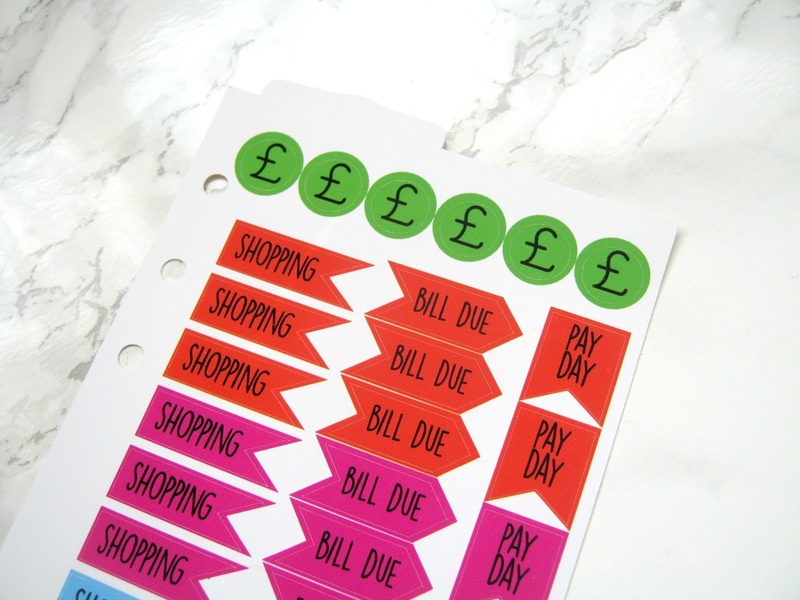 The finance planner stickers weren't ones that immediately stood out to me but the more I thought about them the more I realised they would be very handy for keeping track of money easily. I've tried using all sorts of methods in the past to keep track of money going in and out and when bills are due and these stickers just make it so much easier. The bold colours stand out so again I can flick through my planner and recognise things quickly. The social sampler set are a smaller taster compared to some of the bigger sets but for me it still contains more than enough stickers to cover at least a couple of months of birthday's, parties and occasions. 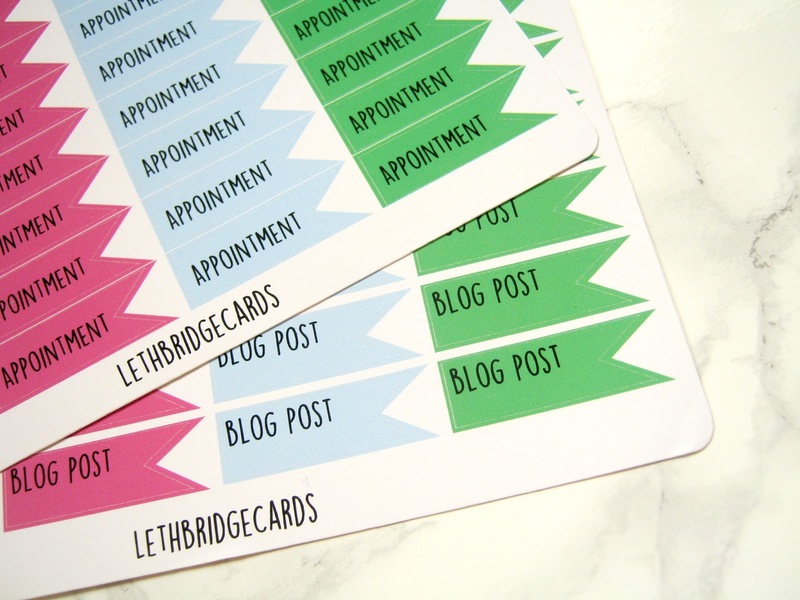 These are handy for keeping track of important dates that you can't afford to forget! It also helps me to plan in advance in terms of cards and presents so it makes my life easier all round. 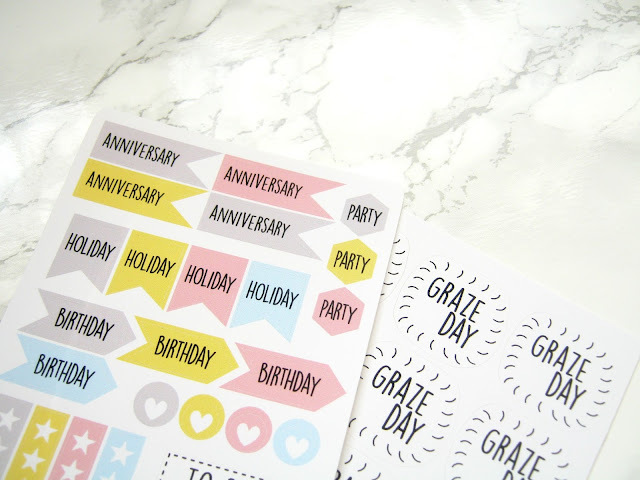 Also above are the graze day stickers, if you are a regular reader of my blog you've probably seen my 'What's in my Graze Box?' posts and know that I do regularly get them so these are perfect for me. I don't have to keep logging into my graze account all the time now to see when my next box is being delivered. Emma also sells stickers that just say sub box on that are perfect for keeping tracking of any subscription box or service you use. The word planner stickers are very similar to the social sampler ones apart from the fact that they are more basic. I'll be using these are my back up for when my more colourful ones run out so I can still keep track of appointments, bill's and occasions. 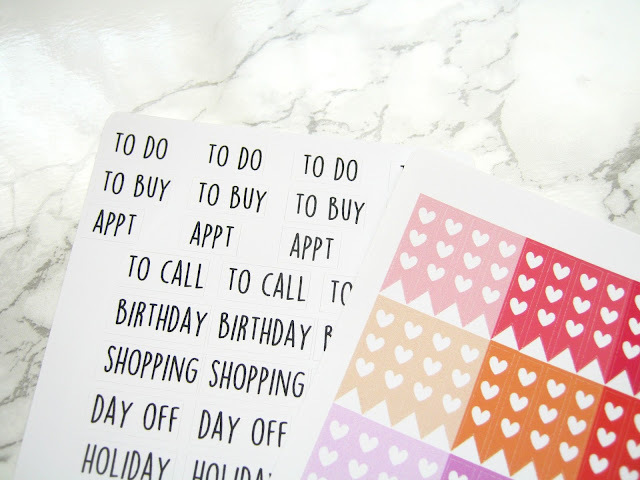 I really like the addition of the shopping stickers and to do/buy ones as well though, I can use these in my notes pages in my planner to note down anything that I need to buy or do during the week. Finally we have the mini heart checklist stickers that are one of my favourites out of them all. They make my daily to-do lists look a lot prettier and this has definitely been encouraging me to tick everything off the list more as well, my productivity levels have almost certainly gone up since using this set and the other stickers mentioned. The world of planner stickers is definitely something that I am fully immersed in now and if you have a planner or diary I'd really recommend trying some out, they really change the way you plan and just make everything look a lot nicer as well! All of the above stickers are really high quality and I've had no problems with any of them ripping or not sticking down properly. If you fancy ordering from Lethbridge Cards, I can't recommend them enough, then make sure to mention my blog link in the notes to seller box when ordering and Emma will pop a little extra something in your order for you! Do you use planner stickers? Or is it something that you are now considering? Let me know! Some of the stickers above I paid for myself and others were kindly sent to me for review consideration however this does not influence my opinion, I am always 100% honest. I'm obsessed with my agenda! I want all of these stickers! I love the Social sampler set! Soooo cute! Brilliant stickers and ones that are actually useful and usable throughout the months. I love planner stickers, I definitely had an addiction at one point! Thanks for the review il be sure to check them out. I think I might be getting hooked on them haha!